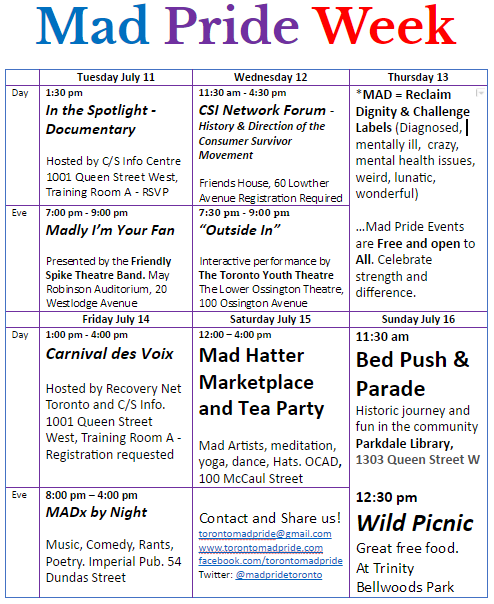 …Mad Pride Events are Free and open to All. Celebrate strength and difference. Hosted by Recovery Net Toronto and C/S Info. Previous Post: Mad Pride Poster 2017 is here!